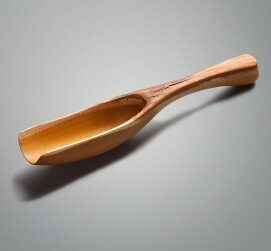 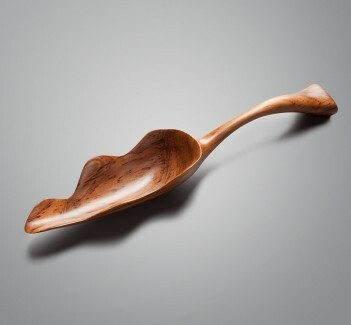 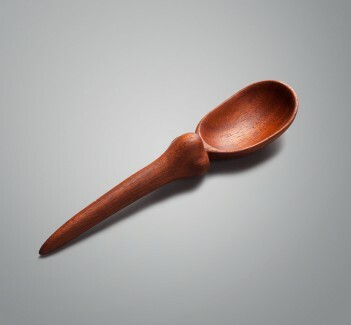 Carved from osage orange wood, also known as hedge apple, the beautifully natural look and deep scoop adorned with the flowing lines of the material's grain are sure to make the procurement of coffee beans, rice, spices, or anything else a true pleasure. 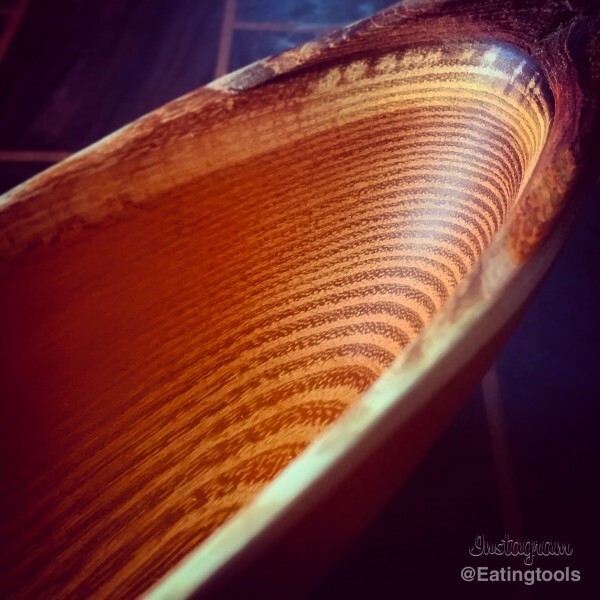 A one-of-a-kind piece unlike any we have seen before. 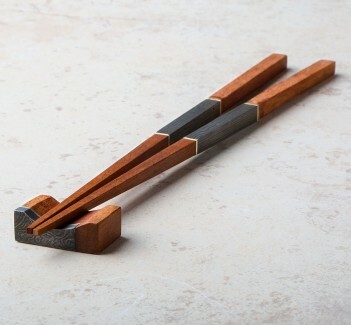 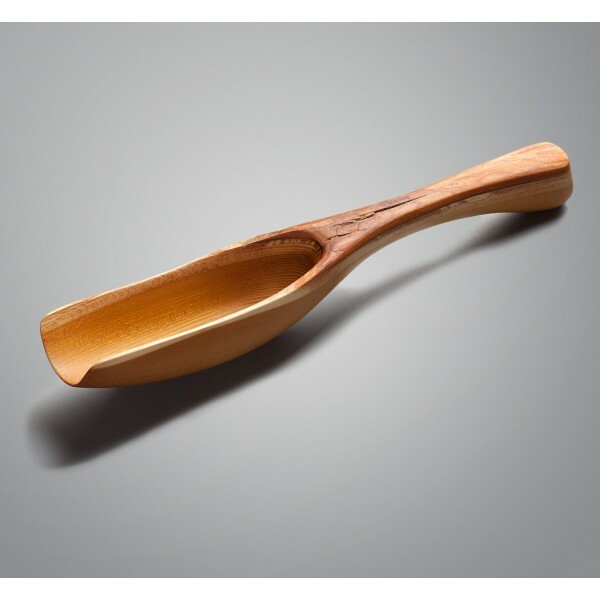 Spoontaneous of South Florida, the creative outlet for woodworker Terry Widner, produces "functional, nonfunctional, and dysfunctional wooden spoons" in a variety of astonishingly creative interpretations of the world, people, and art that surround us.